Conflict is something that I real struggle with and I know that I’m not alone. The other day, I was watched two people arguing about one of them jumping a queue in the local supermarket. The one who committed the crime was taking no responsibility and showing fingers and using abussive language. This is not unique. There are so many people in our society today who have no respect or are nasty for no apparent reason. So how do we cope with these people? How can we grow to love them? Are you someone who has become difficult to love? I read a great little book called “How to love difficult people” by William Smith. 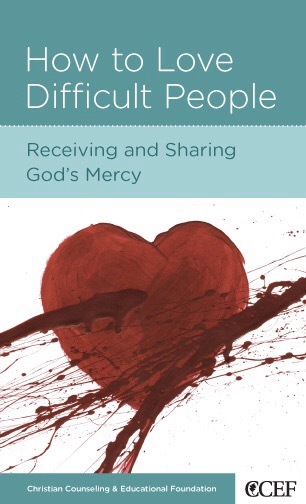 It is part of the CCEF (Christian Counseling and Education Foundation) series. (See picture). Learning to love difficult people starts with understanding that you (like me) are hard to love too.